We are proud to announce that Esencia Neighborhood Corporation has selected Tinnelly Law Group as their associations’ legal counsel. 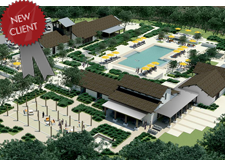 Esencia is a brand new master planned community located in Rancho Mission Viejo. It is expected to include approximately 2,700 attached and detached homes within 33 distinct neighborhoods. Residents will enjoy trails, parks, indoor and outdoor retreats, a sports park, Esencia Farm, Oak Canyon, The Canyon House, The Hilltop Club, and Canyon Coffee. Our HOA attorneys and staff look forward to working with Esencia’s Board and management.